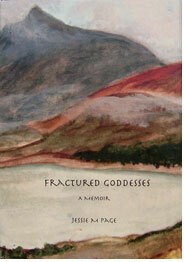 Jessie Page is the author of Fractured Goddesses (2006), a memoir in which she writes candidly about growing up in Southern California, sexual awakenings, and the difficult decisions involved in terminating her pregnancies. Page has also published stories in various journals and news publications. The Bainbridge author says that a new novel lies waiting in her wooden filing cabinet.